I’ve heard a number of podcasts recently that have explored the theme of starting (or continuing) a family. Some people know that they want kids and some don’t. Some people jump through hoops to have them and others go to great lengths to avoid them. It’s life-changing and nearly every adult human being has to think about it at some point or another. There was a lot to choose from and I had a tough time narrowing it down. In the end, though, I decided on a deeper-than-usual dive into two podcasts. 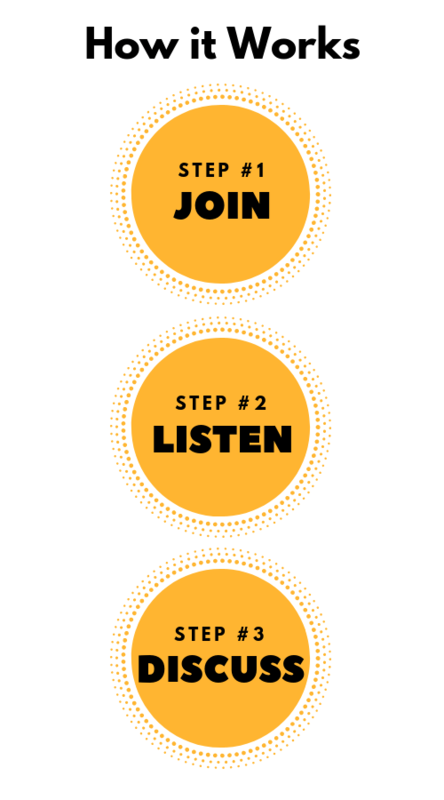 We will listen to two episodes each from Israel Story (which is modeled after This American Life) and The Longest Shortest Time (which delves into the complex topics around parenting). The topic is deep and there will be lots to discuss, so I didn’t want to include all four episodes as “required listening,” but I included the second selection from The Longest Shortest time as “extra credit” in case you are interested. Israel Story: “Episode 10: Birthstory.” This is the first episode of Israel Story that I ever heard and it was because it was a collaboration with Radiolab, my hands-down-favorite podcast. I was immediately hooked and promptly binge listened to the entire Israel Story series. This episode tells the story of a gay couple from Israel who not only had to figure their way around Israeli law to start their family, but also had to go up against mother nature herself (and I don’t mean in the biological sense). This is an extraordinary story of a determined couple who started their family, despite so many obstacles, by getting around the system that was put in place to stop them. It takes place in four countries–Israel, Ukraine, India, and Nepal–and left me in a state of bewilderment at the lengths that good, decent people have to go through to do what so many others have done so easily: start a family. Israel Story: “Love Syndrome.” I feel like I use the word “incredible” too much. And, honestly, that word does not do this story justice. It is one of immense love, openness, and tenacity (in Yiddish, it’s called “chutzpah”), all executed with an ease I find admirable and simultaneously inconceivable. The entire episode is dedicated to a woman named Enid, who, in college, left her orthodox Jewish roots in New York for the wilds of Alaska. She married her professor, had three children, divorced the professor, and then remarried the love of her life who wanted three children of his own. After two more children, she had two miscarriages. Finally, she successfully delivered her sixth child who was born with Down syndrome. What happens next is unforgettable and…well, incredible. Jaw-droppingly incredible. Take a listen and I can’t wait to hear your thoughts. The Longest Shortest Time: “Episode 79: Terry Gross on Not Having Kids.” Every single episode of The Longest Shortest Time would have been a good pick for the theme we are exploring this month. I learned about this particular episode through two of my Twitter besties, @saralistens and @TwoEarbuds (who each have a great podcast newsletter that I highly recommend). Terry Gross, the long-time host of NPR’s Fresh Air and award-winning interviewer, has the tables turned on her. She is in the hot seat and is interviewed about her decision not to have children. They talk about how children can impact career, the art of being by yourself, whether she has thought about a plan for aging without children, and how friendships with people who have children have changed. The Longest Shortest Time: “Episode 64: Should I Have Kids?” The above episodes feature a wide range of choice when it comes to starting a family: choosing not to have children, choosing to start a family, and choosing to expand your family. This episode explores the missing piece of whether to start a family when you just don’t know if you want one. It’s a contentious and fraught topic, but the episode does a really nice job of taking a non-judgy look at the different perspectives. An added bonus that I think really adds to the conversations is the comments at the end of the post. There is some really great discussion happening there. As always, if you have feedback or suggestions (including theme and episode suggestions), my mailbox is always open. 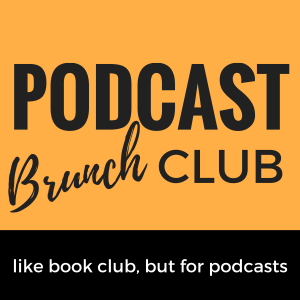 Email me at [email protected] or tweet at me @podcastbrunch. Also, feel free to use the commenting section below to contribute your two cents about what we’re listening to this month. So I have to say that the podcasts on starting a family drew some really good discussion in Geneva. Our group included a mom, someone married but considering children, and a single woman undecided on children. We all found the Terry Gross podcast interesting and agreed with her on so many points. I think we all agreed that the main message is that you have to know yourself. There may be degrees with which we may be comfortable in having children. We just know, we think we want them but are not sure, we value our alone time and it may not be for us, we absolutely know we don’t want children. Terry Gross is obviously values solitude greatly and her happiness is contingent on alone time and her work. It’s great she paved that path for other women to have the choice to decide what is best for her. The other two podcasts generated quite a strong reaction. One member really felt that the mother in Love Syndrome went too far and in fact starting ignoring her own biological children in pursuit of saving all these children with Down’s syndrome. Others felt that perhaps the story did not delve into her relationship with her kids enough to know the truth there. The mom in our group found the surrogacy story very morally objectionable. Paying a woman to give birth and carry a child for you was exploitation in her eyes even if the woman go in doing this of their own volition. Others felt less strongly but agreed that there should be limits . The point was also made that if you outlaw surrogacy, you will just drive it underground as mentioned in the podcast and the results could be far far worse. Regulating it better in countries like Nepal and India would be a better solution. This particular podcast opened all of our eyes to something we did not even know happened! We really enjoyed our meeting and cannot wait to discuss Feminism in June!